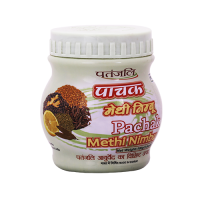 A unique formulation by Patanjali, Pachak Ajwain with Aloevera combines the medicinal prowess of thy..
Patanjali Pachak Hing Peda is made out of rich quality hing and other important herbs and ..
Pachak Jeera is one of the many options in the Patanjali Natural Health care and Digestive product.. 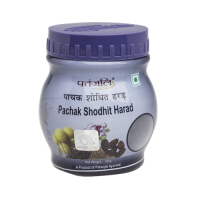 Beneficial in enhancing appetite and gastric problems. Eat whatever you like and digest. pro.. 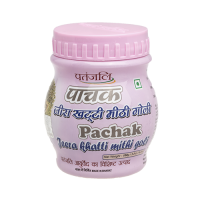 Beat the sweltering heat with Patanjali’s super-refreshing Pachak Jaljeera. Nothing quenches thirst ..
Pachak Shodhit Harad is a Tridosha Hara. A strong digestive it helps you eat anything you want and..